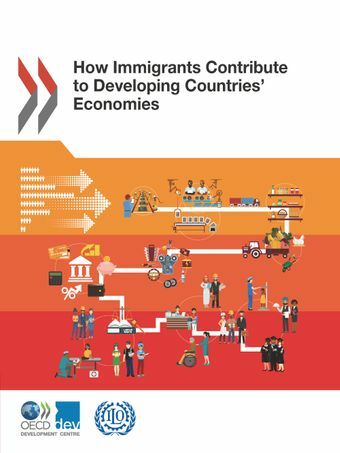 How Immigrants Contribute to Developing Countries' Economies is the result of a project carried out by the OECD Development Centre and the International Labour Organization, with support from the European Union. The report covers the ten partner countries: Argentina, Costa Rica, Côte d'Ivoire, the Dominican Republic, Ghana, Kyrgyzstan, Nepal, Rwanda, South Africa and Thailand. The project, Assessing the Economic Contribution of Labour Migration in Developing Countries as Countries of Destination, aimed to provide empirical evidence – both quantitative and qualitative – on the multiple ways immigrants affect their host countries.The report shows that labour migration has a relatively limited impact in terms of native-born workers’ labour market outcomes, economic growth and public finance in the ten partner countries. This implies that perceptions of possible negative effects of immigrants are often unjustified. But it also means that most countries of destination do not sufficiently leverage the human capital and expertise that immigrants bring. Public policies can play a key role in enhancing immigrants’ contribution to their host countries’ development. On 24-25 January 2018 the Development Centre of the OECD and the International Labour Organisation (ILO) will hold a joint conference in Paris, and launch the new report on immigrants’ contribution to developing countries’ economies. Click here to access the event’s agenda.